The World Series of Poker Europe may have been over for an entire weekend but there was no rest for the wicked last week. The UK had two of the juiciest Festivals of the year in the South and the Midlands, and there were a lot of big names at the finales of each. 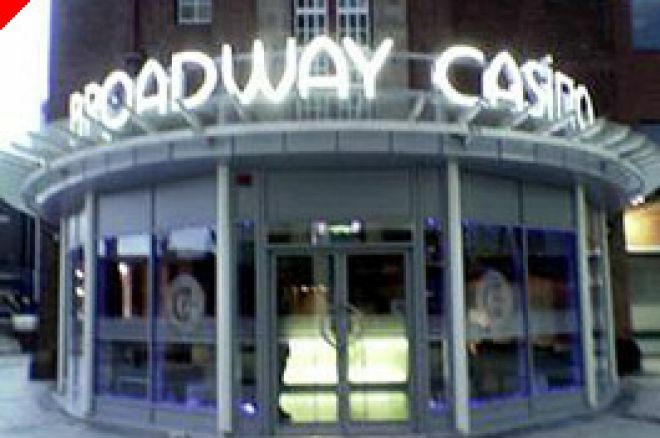 The Broadway Casino in Birmingham was host to a week long festival and the Victoria in London was gearing up to the EPT Main Event with the European Poker Championships. Kicked off last Monday with a £100 rebuy event. A notable final table battled it out for the £9,170 first prize. This was eventually taken down by Ben Callinan, who had to overcome Pete Singleton (2nd) and Lucy Rokach (4th) to take the trophy. The next event as a £150 double chance freezeout. The £7,128 first prize was won by Markus Bebb-Jones who was joined at the final table by GUKPT runner up Barry Neville. Saeed Saghtchi took down the £300 Double Chance freezeout for £13,464 at a very tough final table featuring Mohammed Shaffiq, Maria Demetriou, Ash Hussein and Richard Trigg. This led to another big final table in the £500 freezout on Friday which saw another big victory for Dave Colclough as he attempts to stamp his authority on the European Rankings with this £11,000 first place. The two day £1000 saw the big boys come out and play. Making his third final table in 5 weeks, GUKPT champion Julian Thew finished 4th in this event. A 3 way chop was made thereafter between Ash Hussein, Michael Artemis and Dennis Troake for £15,760 each. Troake was named the overall champion. For those players that stayed in London after the WSOPE, a week long series took place prior to the EPT Main Event. The first event was a £500 Stud Tournament and Thomas Bihl impressed everyone by taking down the title and adding to his varied games portfolio following his HORSE bracelet at the WSOPE. He was joined at the final table by Willie Tann and Michael Greco, amongst others. Jeff Duval took down the £500 Omaha hi/lo event, side stepping Alan Vinson and Scott Fischman in the process and Joe Grech won the £200 Pot Limit Hold'em event for £22,000. The icing on the cake was a £1000 2 day Hold'em event which featured some very big names. Rumit Somaiya, Jeff Kimber and Ian Woodley all made the money, but it was a top draw final table. Max Pescatori was joined by brothers Ross and Barny Boatman of the Hendon Mob. Ross came 2nd to Osman Mustanoglu, who took down the biggest prize of the week of £50,000. Ed note: There is $50 totally free waiting for you at Titan Poker so what are you waiting for? 3am bag up 160k in the £550 side event. Down to the bar where the karaoke is in full swing....wow!